After nearly two decades, the Jewish Community of Hebron has finally obtained building permits. After nearly two decades, the Jewish Community of Hebron has finally obtained building permits to renew the historic Hezekiyah (Hezkiyahu) quarter. 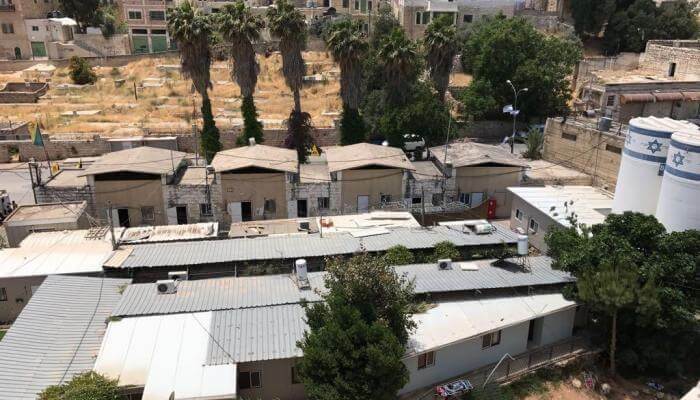 The Defense Ministry’s Civil Administration, which governs civilian life in Judea and Samaria, issued 31 building permits this week for a planned housing project in the Jewish community of Hebron. Unlike other areas of Israel, Jewish communities in Judea and Samaria must obtain extra military approval for any building or renovation. “Building in the City of the Patriarchs by the Israeli government is a Zionist, just, necessary and blessed step. Upon receiving the building permit for the Hezekiah Quarter, we congratulate and thank the Prime Minister and all the ministers, Knesset members and public figures who worked with determination and dedication together with us to advance the building permit. The reference to the convicted murderer is recently elected mayor of the PA-controlled side of Hebron, Tayseer Abu Sneinah, who participated in the ambush attack that killed six people and wounded a dozen others in 1980. He was released in a prisoner exchange deal and subsequently rose to power in the ranks of the Palestinian Authority. The Hezekiyah neighborhood is in the historic Jewish quarter of the city, just outside what was once referred to as the “Jewish ghetto” by the literature of 100 years ago. The main exiting structure is Beit Romano, a large building which today houses the Shavei Hevron yeshiva, a flagship institution of religious Zionism and home to several hundred students from around the country. The building has its roots in 1876 when Hayyim Yisrael Romano built a spacious residential building outside the Jewish Quarter, complete with a synagogue and study hall. In this building, Rabbi Hayyim Hizkiyahu Medini completed his monumental Talmudic encyclopedia Sde Hemed, studied and taught Torah between the years 1901-1905. rabbi Medini served as chief Sephardic rabbi of the city and is buried in the ancient cemetery. In 1912, the fifth Lubavitcher Rebbe, Rabbi Sholom Dovber Schneersohn of the Chabad movement, purchased the building along with the surrounding grounds and established the Torat Emet Yeshiva. The original Ottoman land deeds (Kushan) are currently displayed in the building along with other legal documents and photos of the famous rabbis who lived and taught on site. During World War I, when the British defeated the Turkish in 1917 and took control of the Land of Israel, they converted the facility into the headquarters of the British police. After the 1929 Hebron massacre, the bodies of the Jewish victims, as well as the wounded and survivors were held at the site prior to their expulsion from the city. In 1948, the Jordanian capture Hebron and the building was used as a school and a bus terminal was built next to it. When the city finally returned to Jewish hands in the Six Day War of 1967, the seventh Lubavitcher Rebbe, Menachem Mendel Schneerson, turned over all rights to previously held Chabad property to the nacsent Jewish settlement, giving his blessing to the young families seeking to repopulate the neighborhoods. However many in the Israeli government were less than eager to open the floodgates to the young enthusiastic Jewish idealists. Several properties were leased to the existing Arab tenants. It took a stabbing attack by a terrorist in 1982 to propel the Israeli government to return the building to Jewish hands, and the Hizkiyahu neighborhood was established along with Yeshivat Shavei Hevron. To accommodate the growing demand by young families, temporary caravan homes, similar to a tailor park, were established to the site, following steep bureaucratic opposition. Future development plans were drawn up for a 7 story building with 28 apartments including a nursery school, medical clinic, underground parking and open public space. 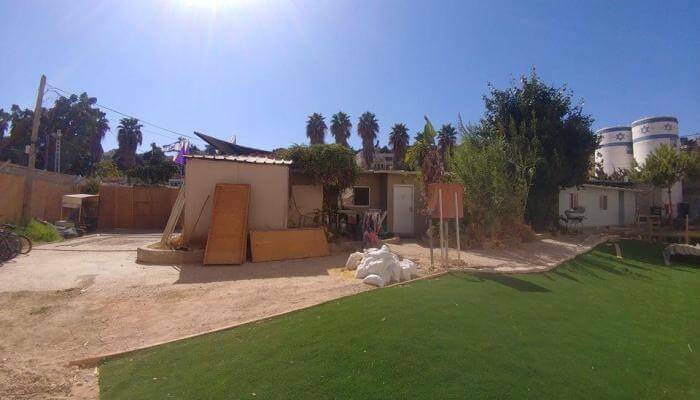 Now with the official building permits finally secured, the new approval of 31 units may finally be realized, thus easing the demand of housing and reclaiming the areas once populated by thriving Jewish community generations ago. Yishai Fleisher, international spokesman for the Jewish community of Hebron told the Times of Israel, there was a general linkage between the approvals and this summer’s UNESCO vote against Hebron’s Jewish community. Israel’s response was to cut funding to the United Nations body and this past week, leave the organization, following the United State’s example. “The response to the narrative that suggests that we are foreigners here is not just to pull out of UNESCO, but also to strengthen Jewish presence in Hebron,” Fleisher said. In July, UNESCO – the United Nations Educational, Scientific and Cultural Organization voted on a Palestinian Authority proposal to declare Hebron’s Tomb of Machpela and old city a “Palestinian Heritage site in danger.” Scant mention of any Jewish connection was made in the proposal. UNESCO similarly voted on resolutions denying the Jewish connection to the Temple Mount and old city of Jerusalem. This bias led the United States to downgrade its status from full-fledged dues-paying member to a mere observer state in October. Israel followed suit a day later. The past several months have been newsworthy for Hebron with the building plan announcement, the UNESCO issue, and the 30,000 visitors during Succot. Not to be overlooked was the granting of independent municipal status. Since the 1997 Hebron Accords, the city has been divided into H1 and H2 sections, with H1, comprising 80% of the city under Palestinian Authority jurisdiction, of the 20% under Israeli control, civilians are allowed only in the Jewish neighborhoods and barred from the rest of the old city, including historic sites. At the end of August, the Israeli government granted the Jewish community official status as an independent municipality divorced from the Palestinian Authority’s Hebron Municipality. Now, the 1,000 strong Jewish neighborhoods will have their own independent jurisdiction over city services which previously have been denied. H1 Hebron is home to some 200,000 residents, making it the largest city in the PA autonomous areas in terms of both population and land size. It is also the richest, being the economic and manufacturing center of the region. In stark contrast to H2, the PA side of Hebron boasts multi-story shopping plazas, a football stadium, universities, hospitals and more. It is also considered one of the most conservative and religious cities in the PA, with no movie theaters or late night coffee shops, unlike the more cosmopolitan Ramallah, where the PA government is located.